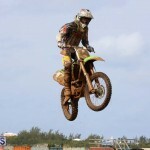 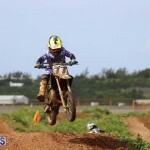 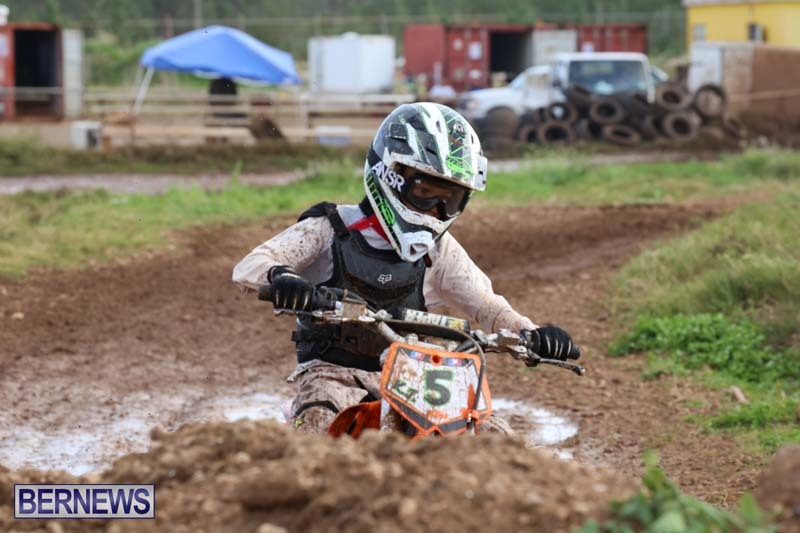 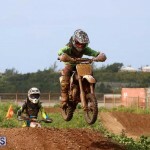 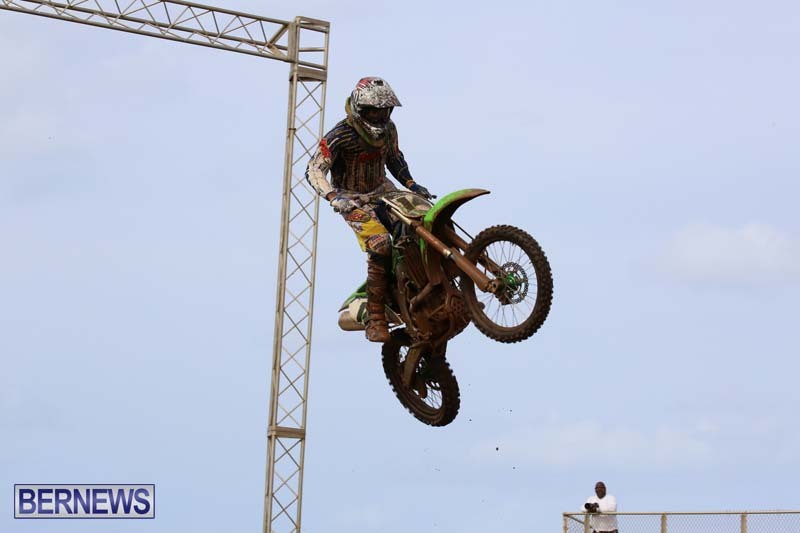 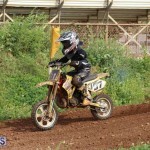 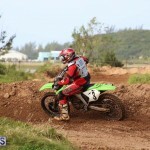 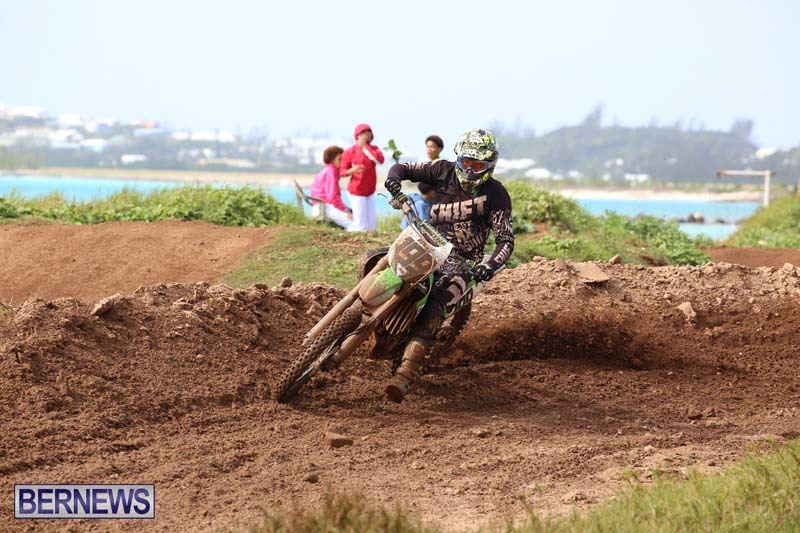 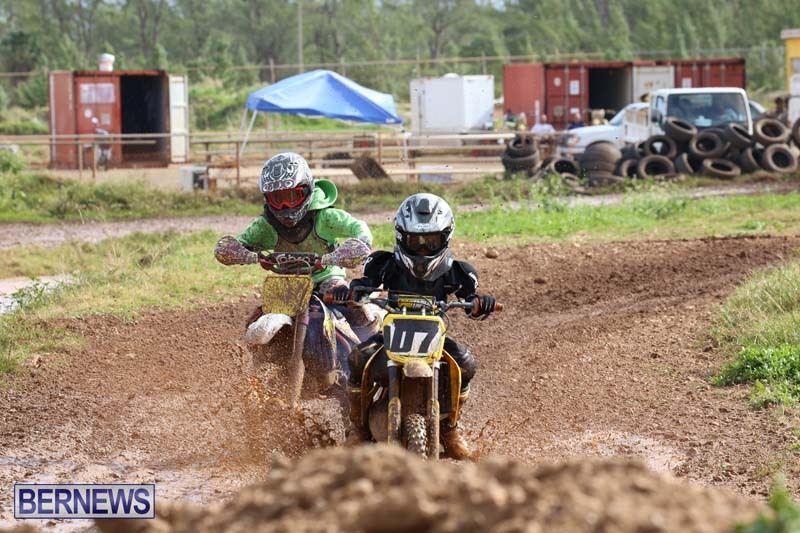 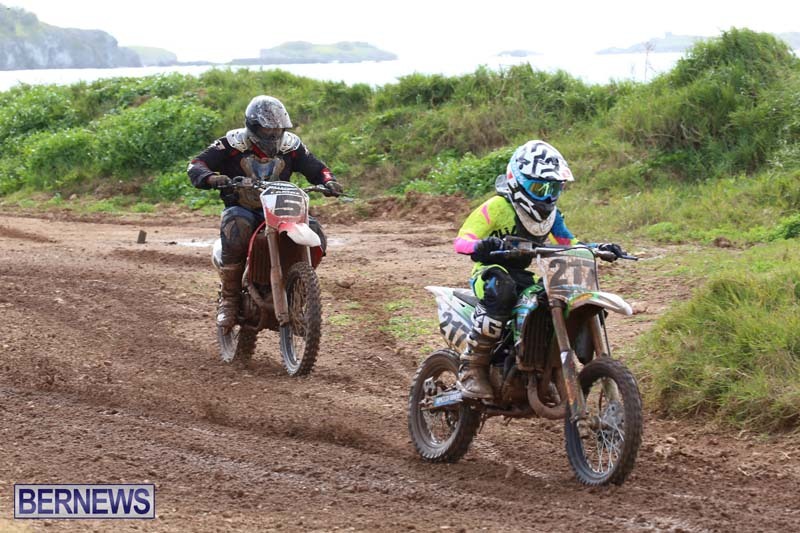 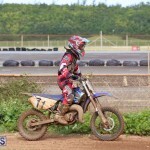 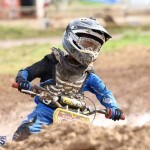 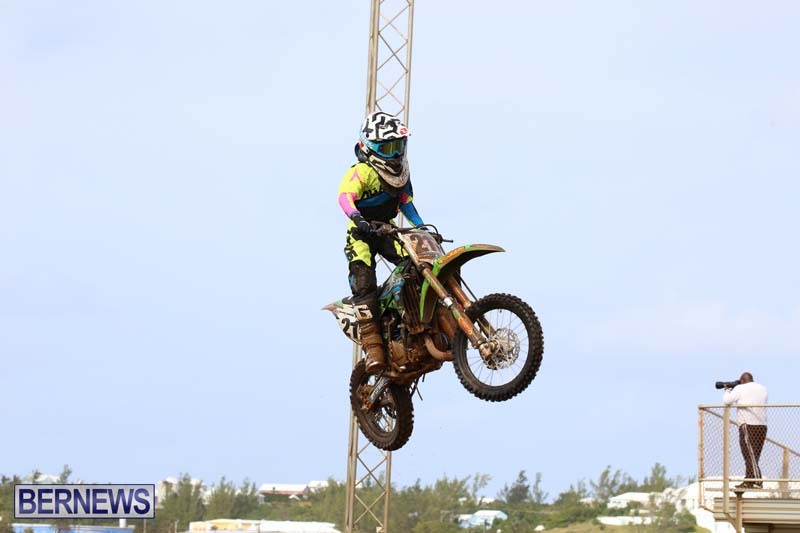 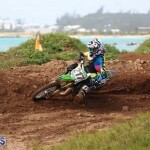 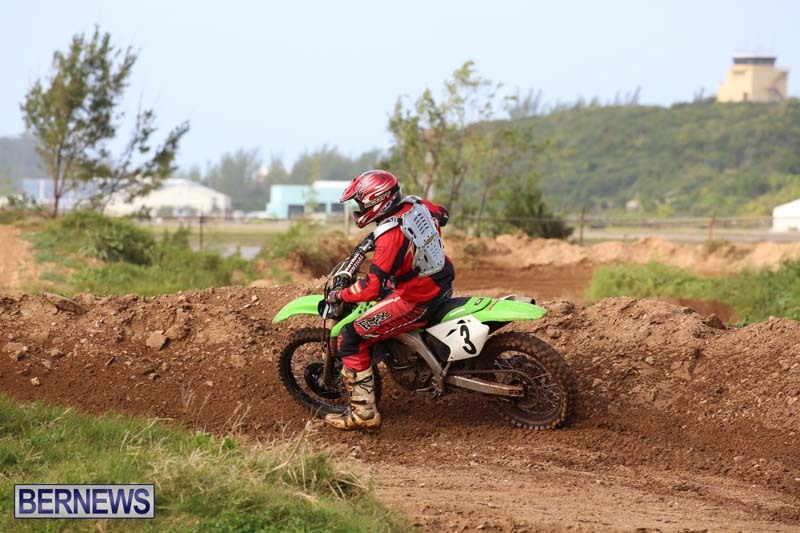 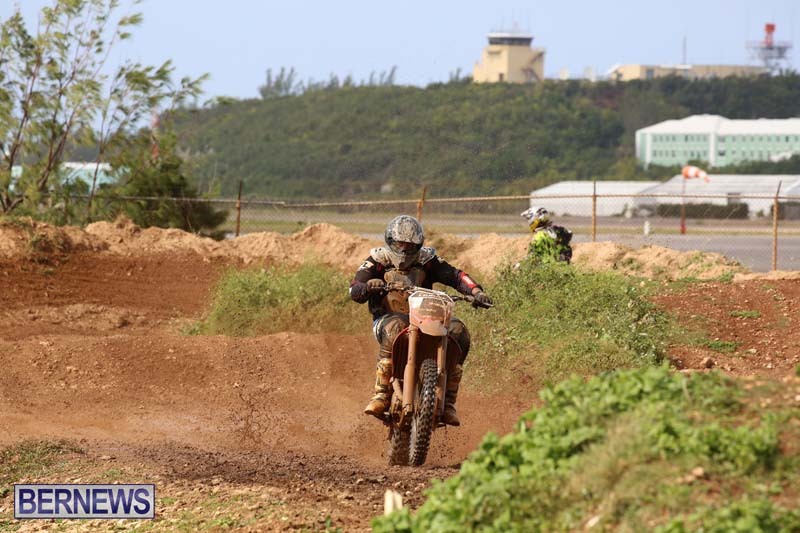 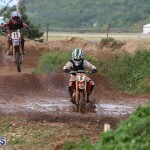 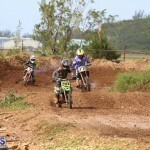 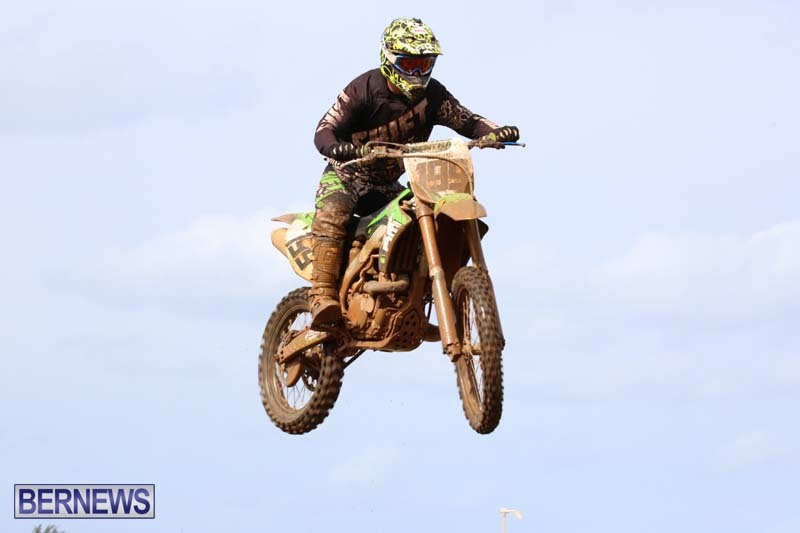 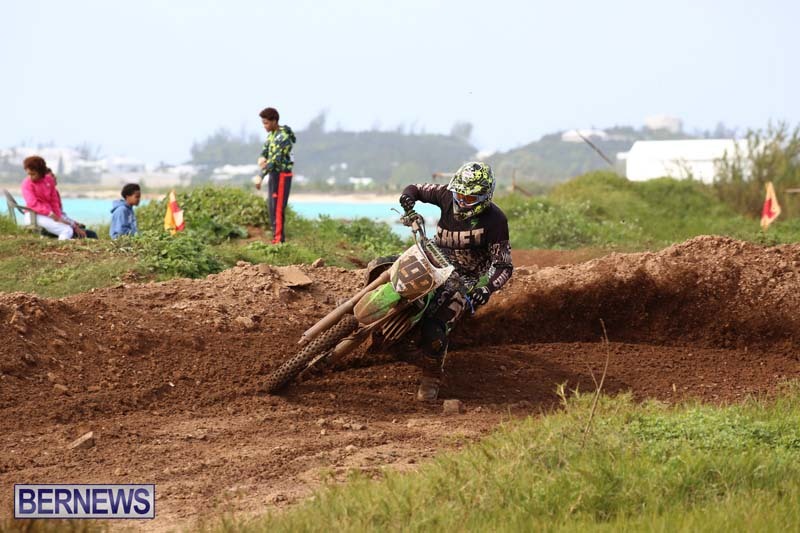 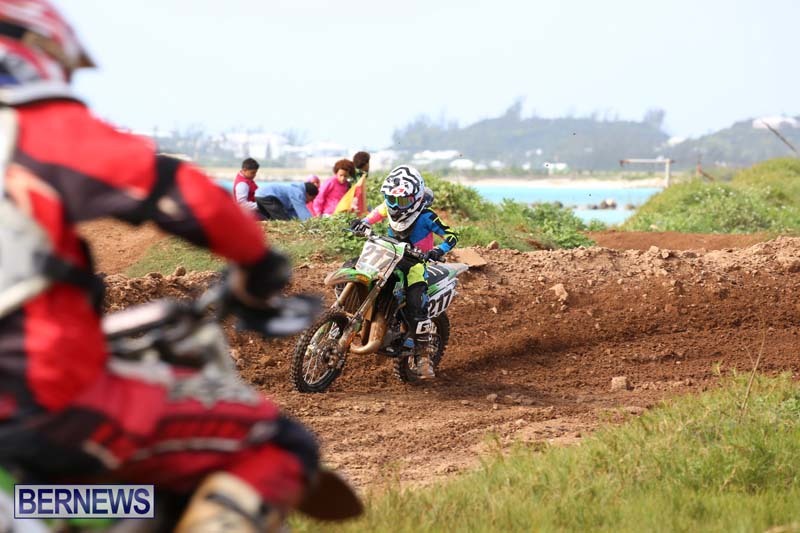 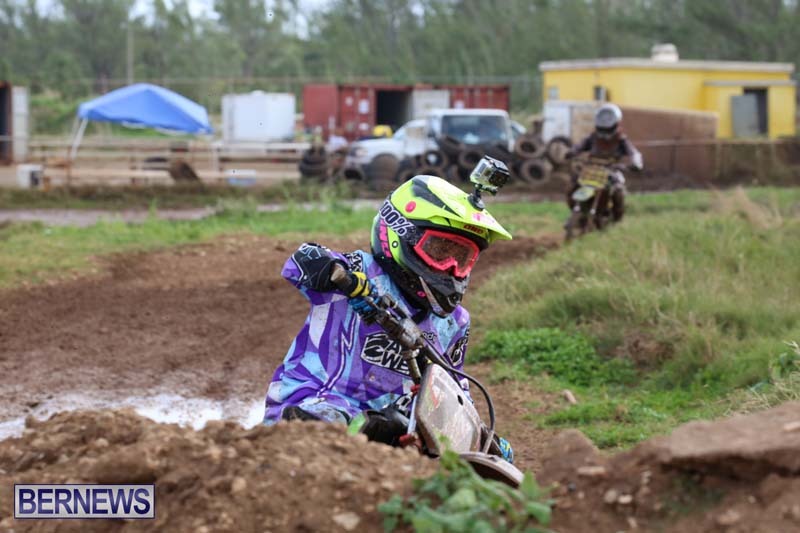 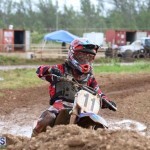 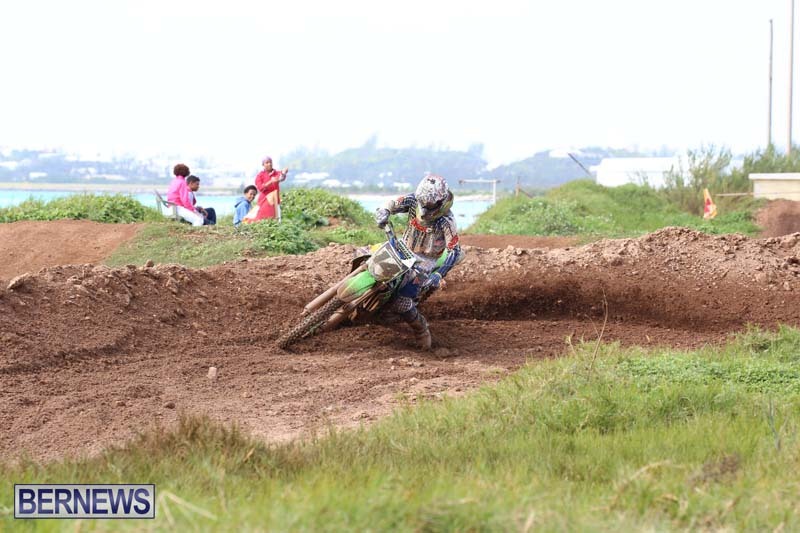 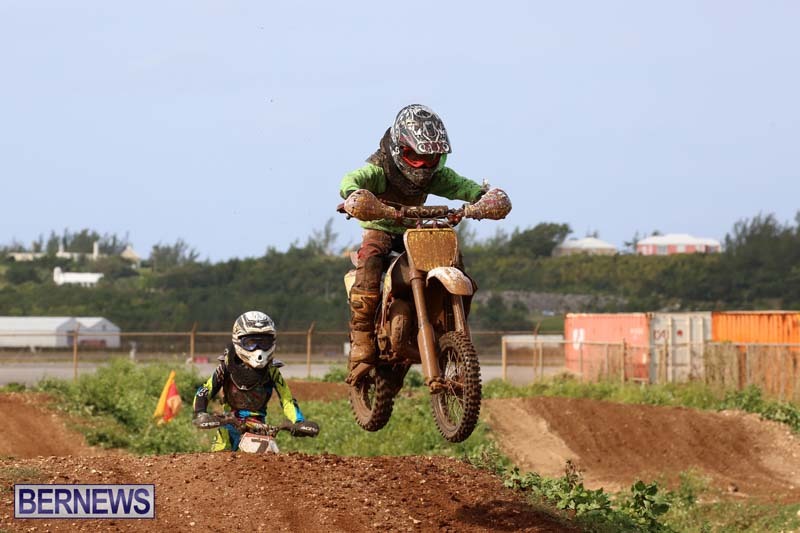 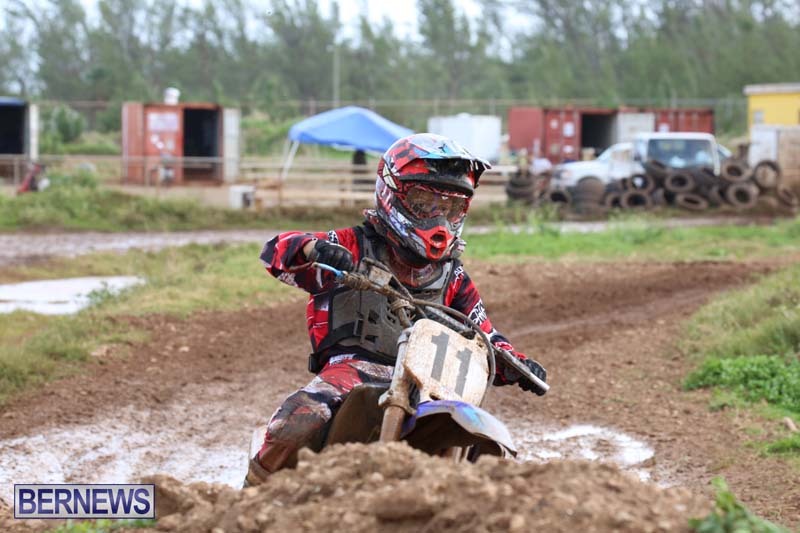 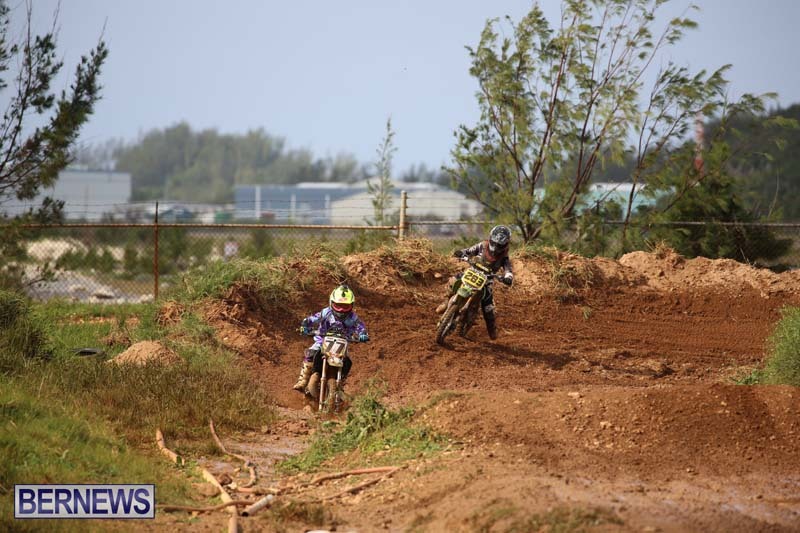 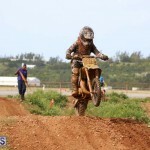 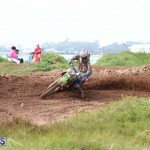 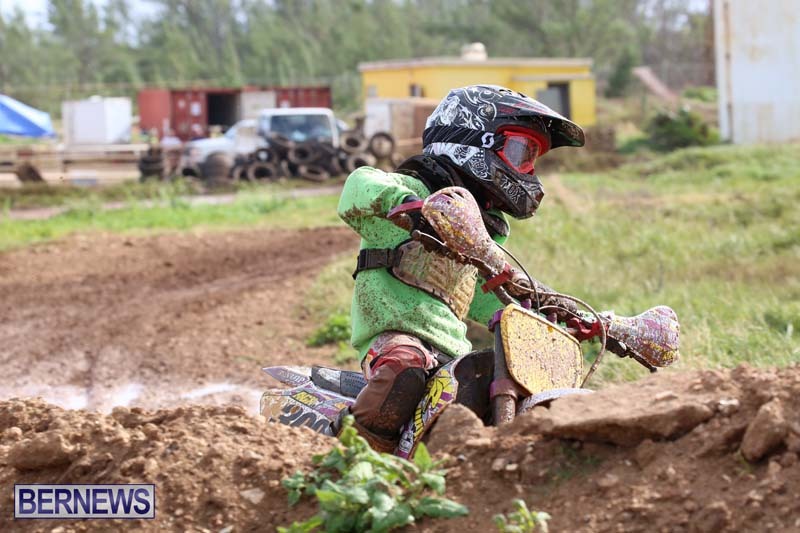 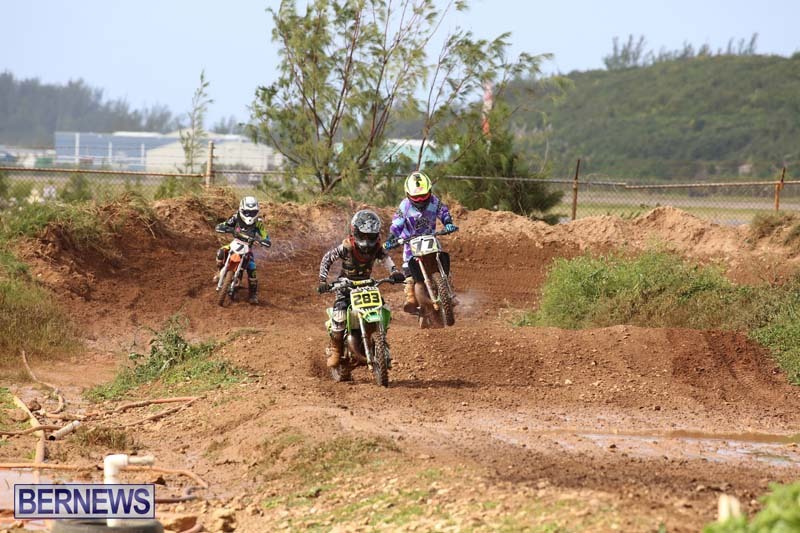 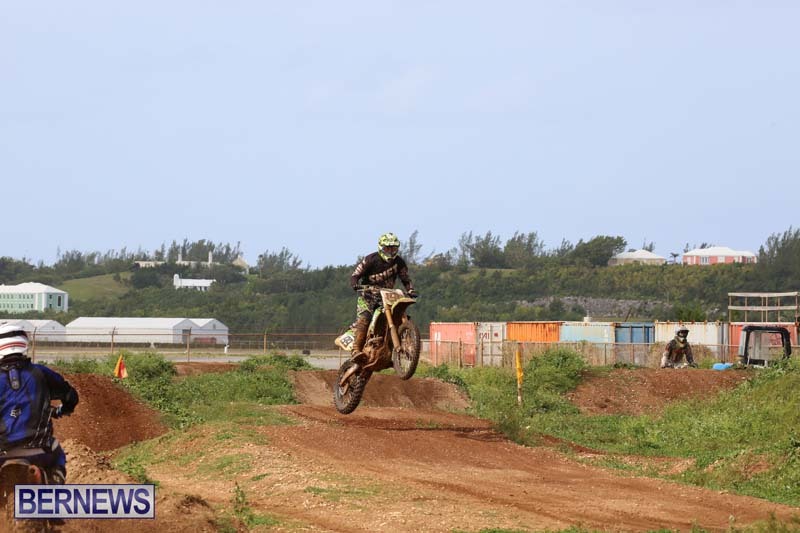 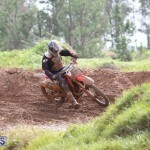 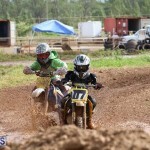 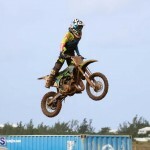 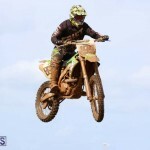 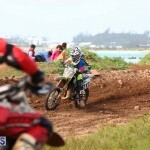 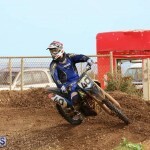 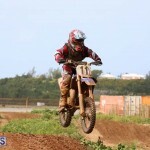 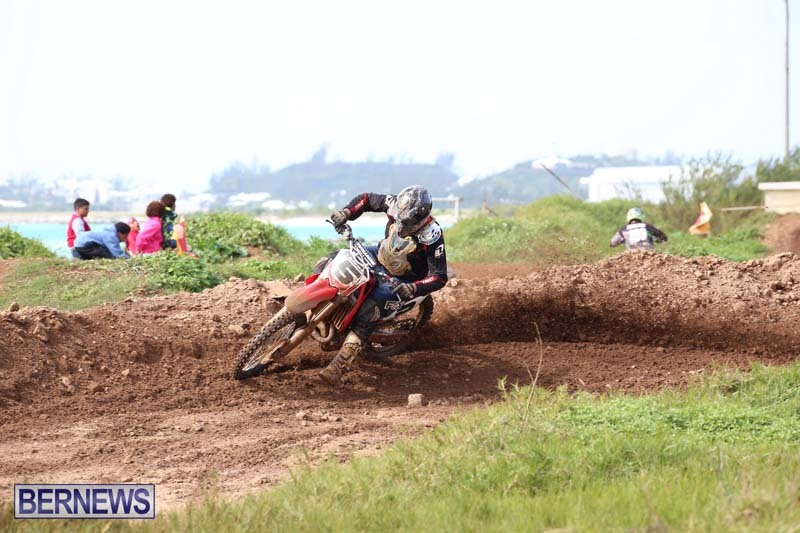 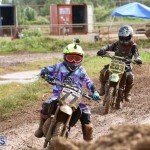 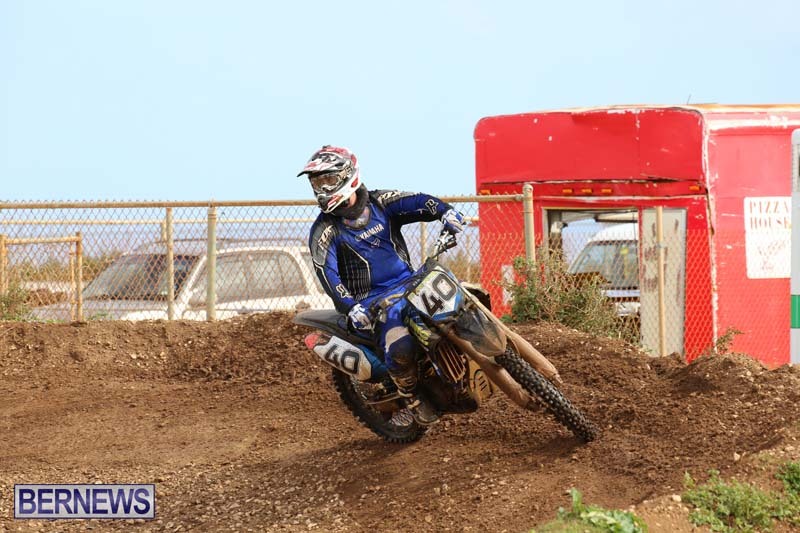 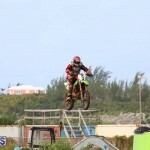 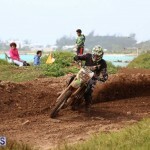 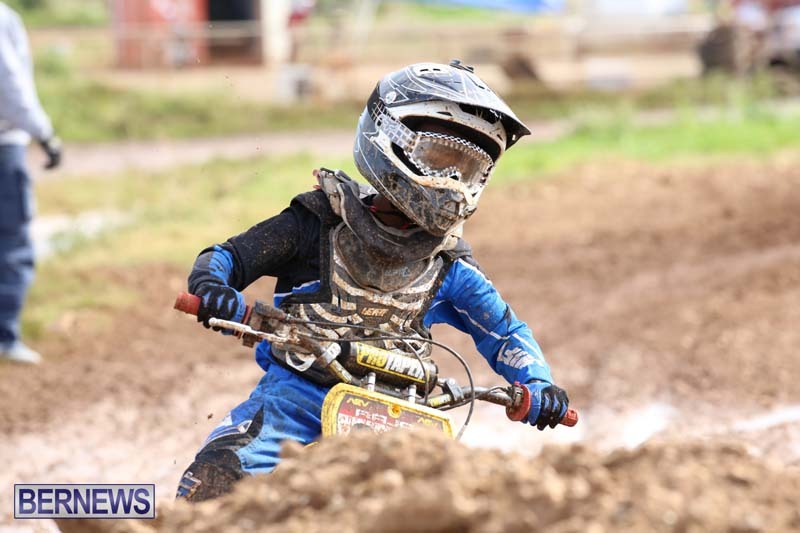 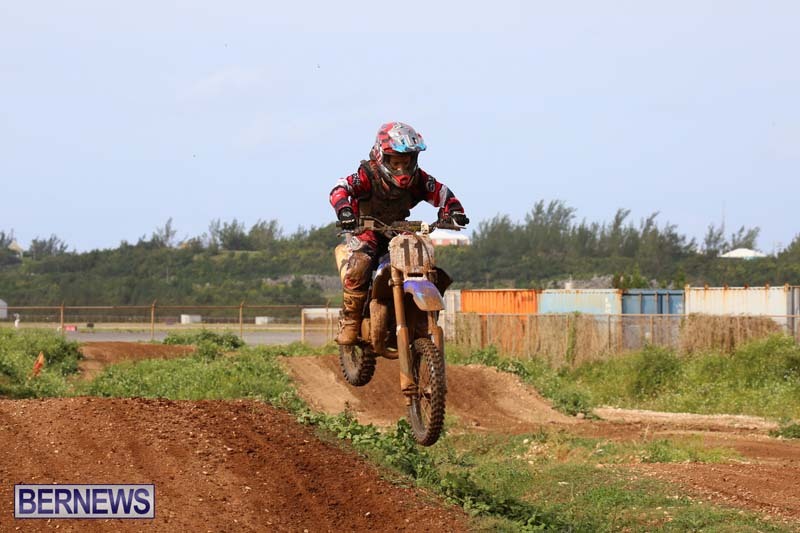 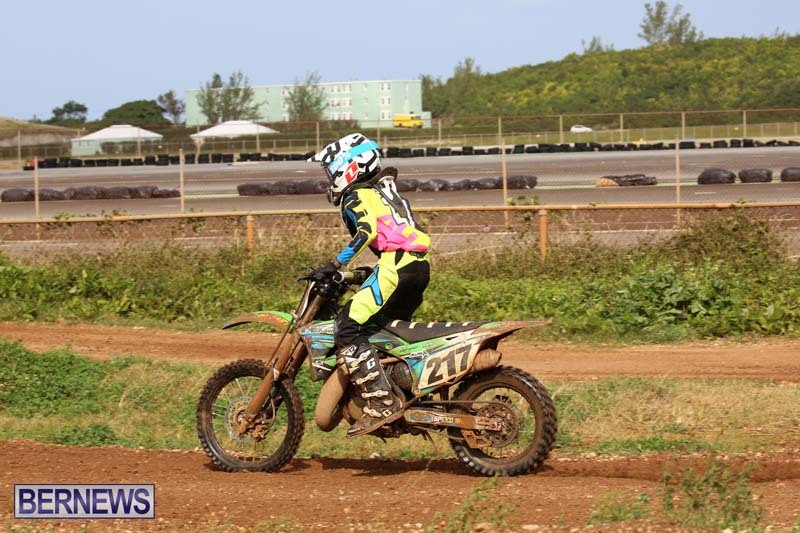 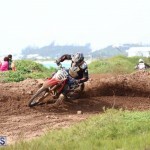 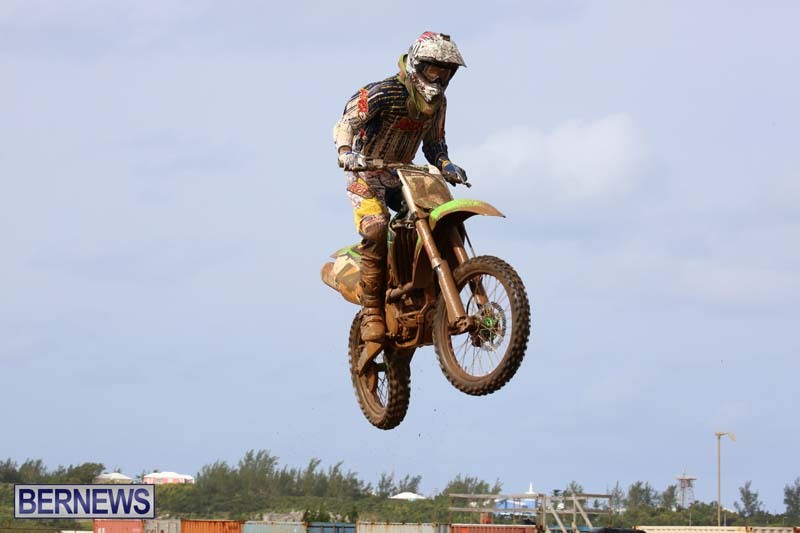 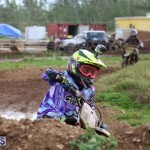 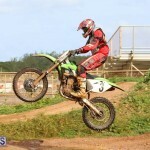 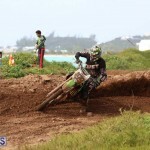 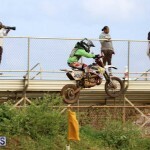 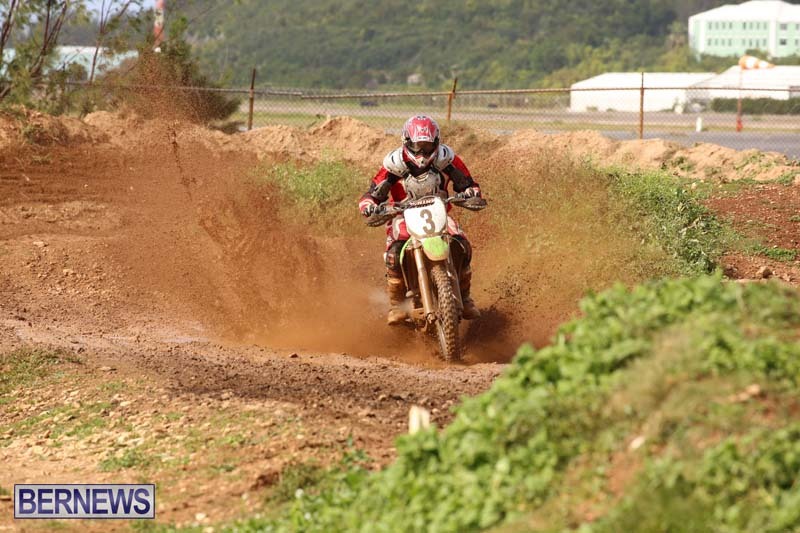 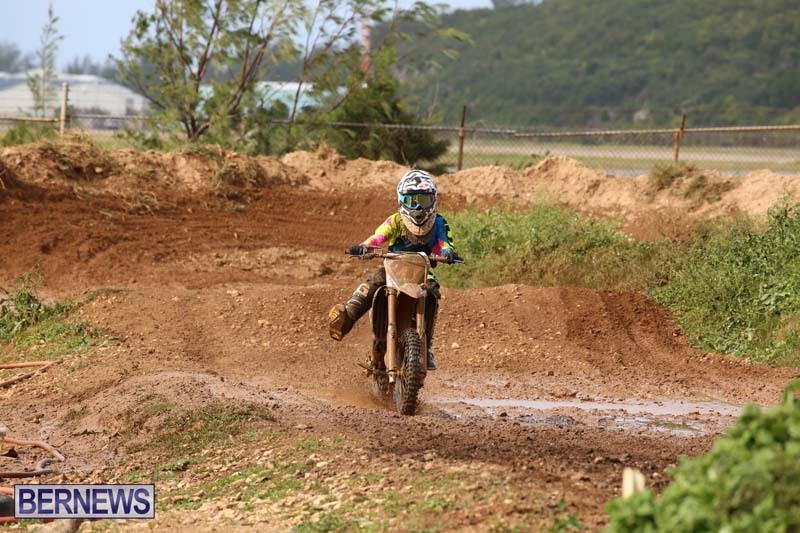 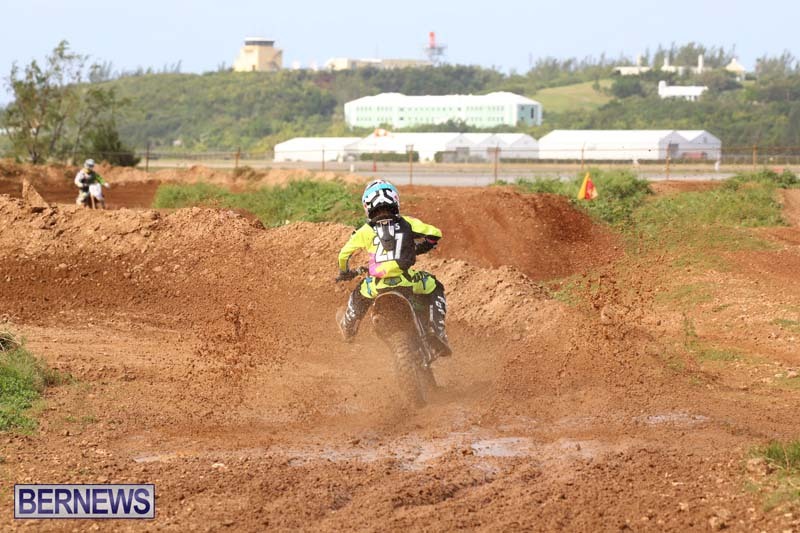 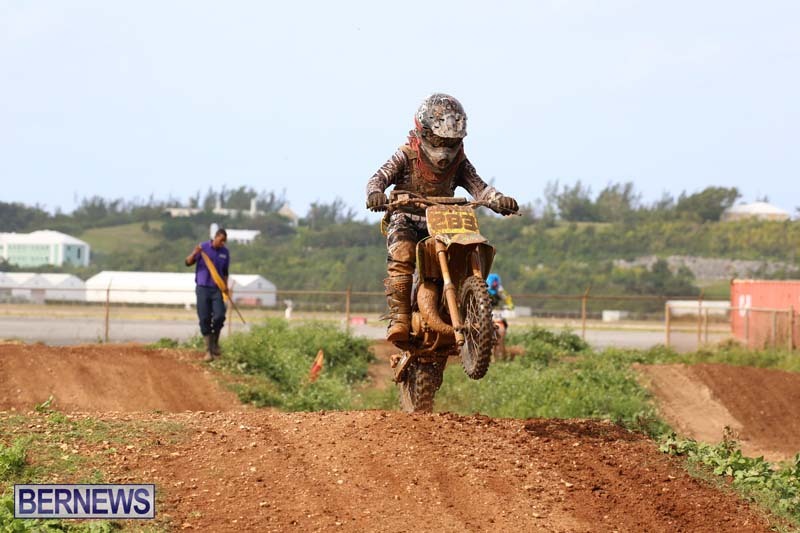 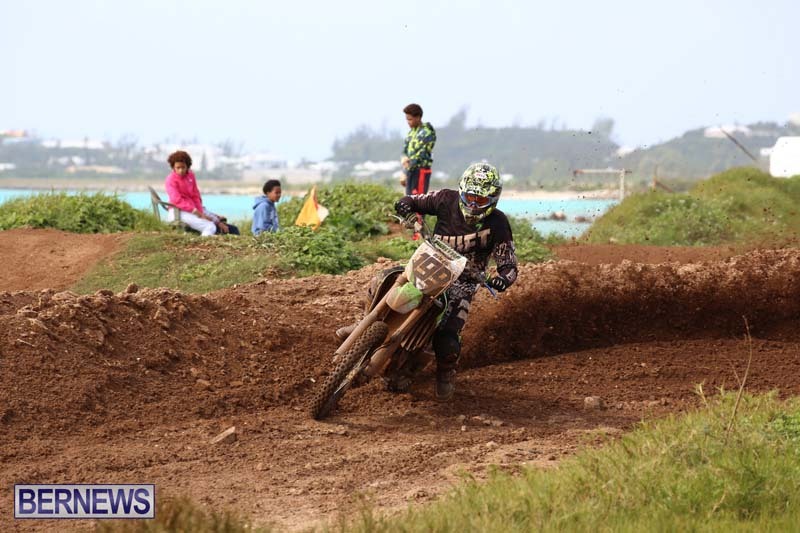 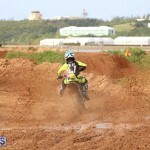 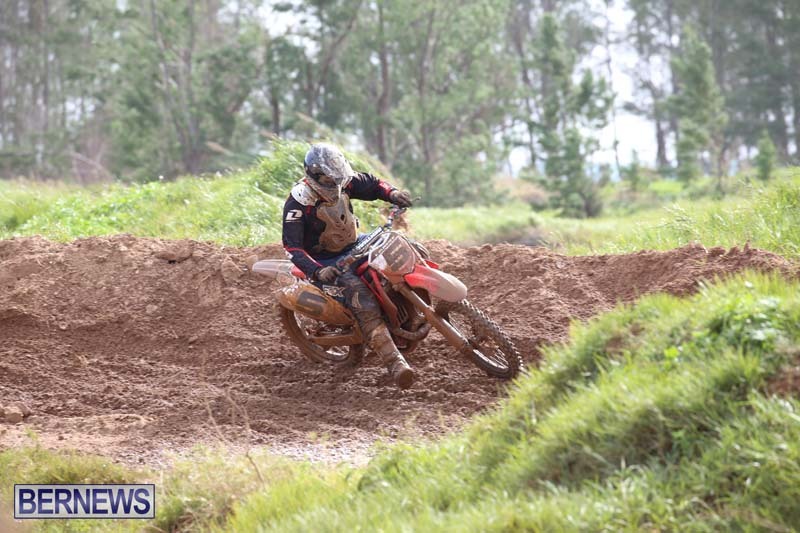 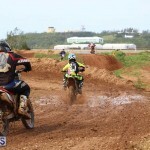 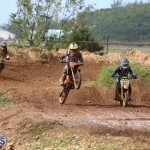 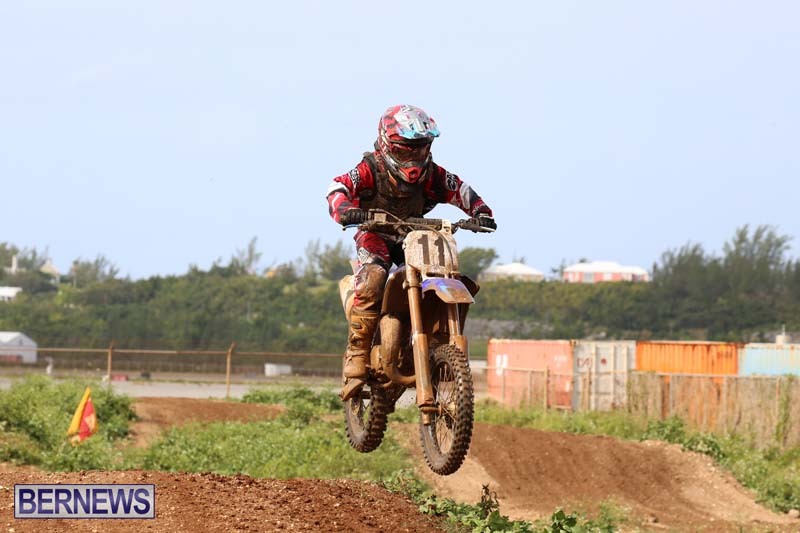 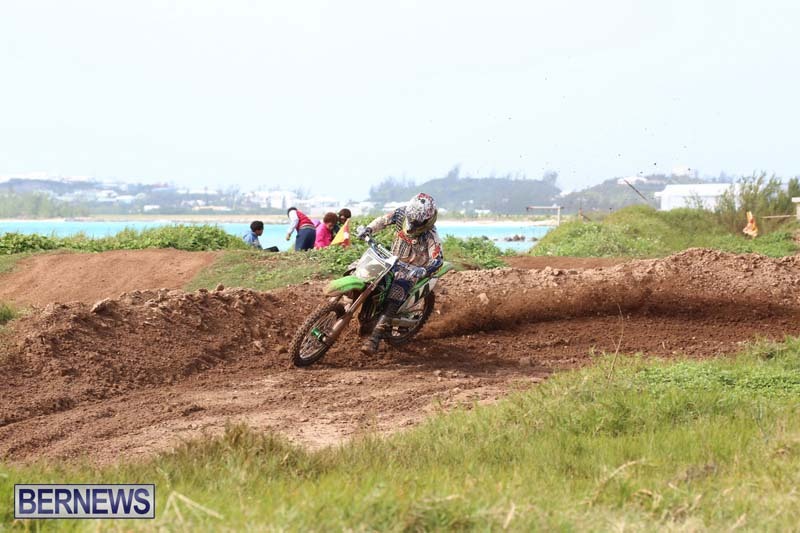 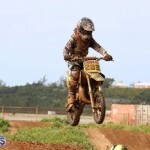 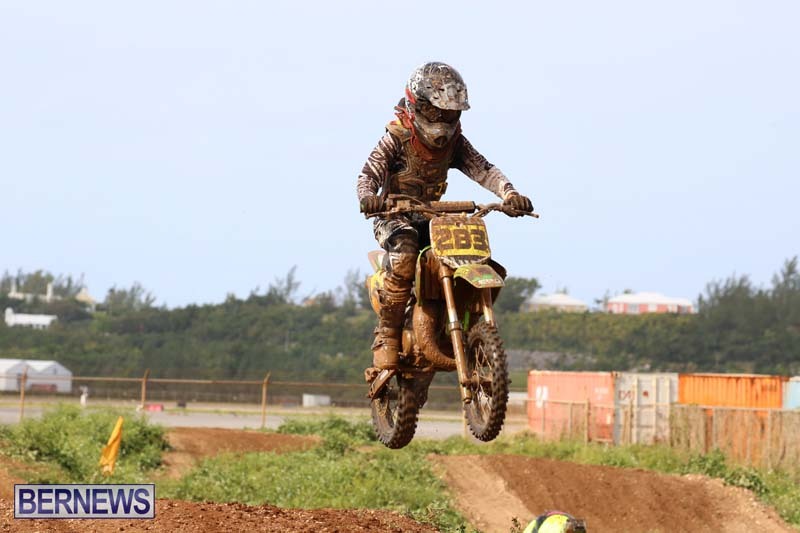 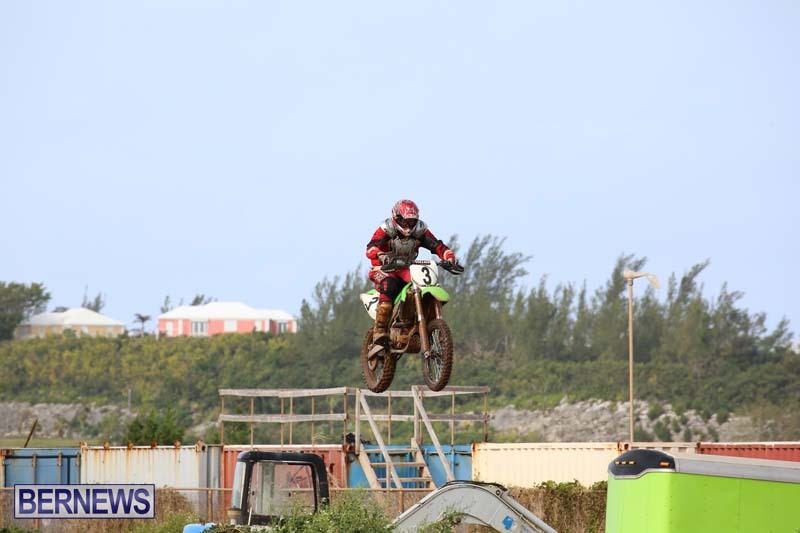 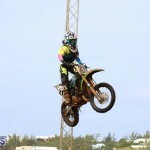 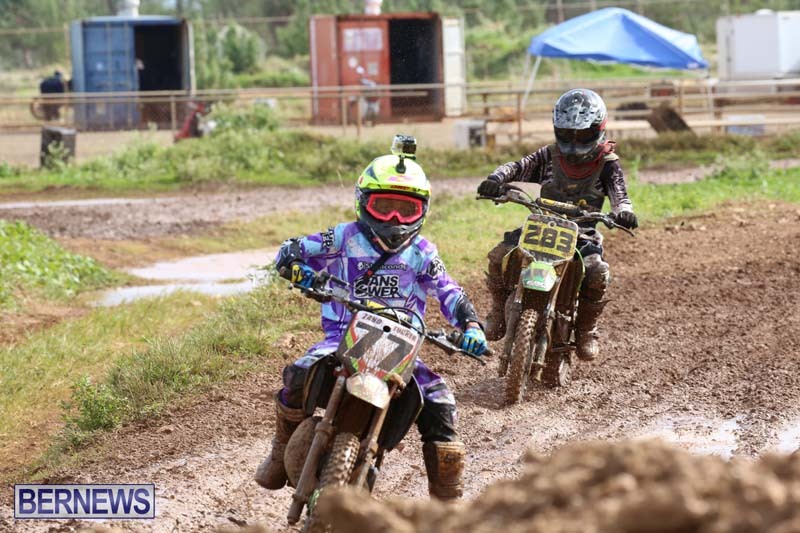 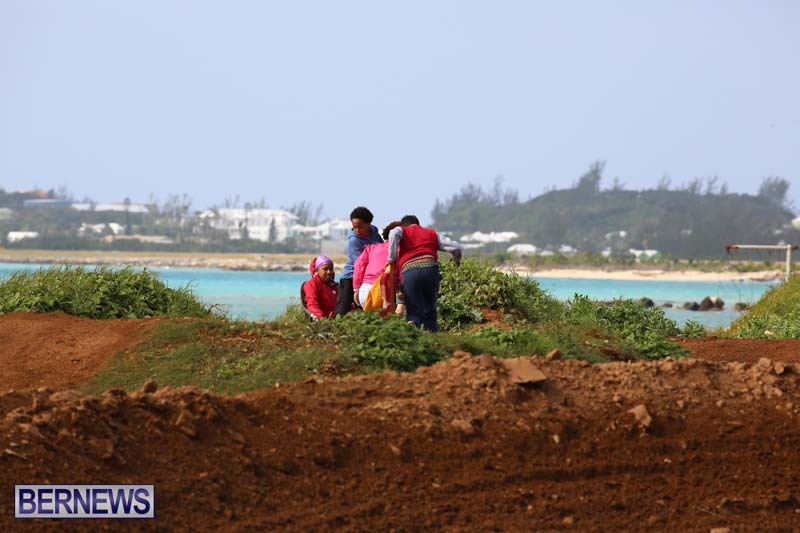 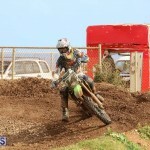 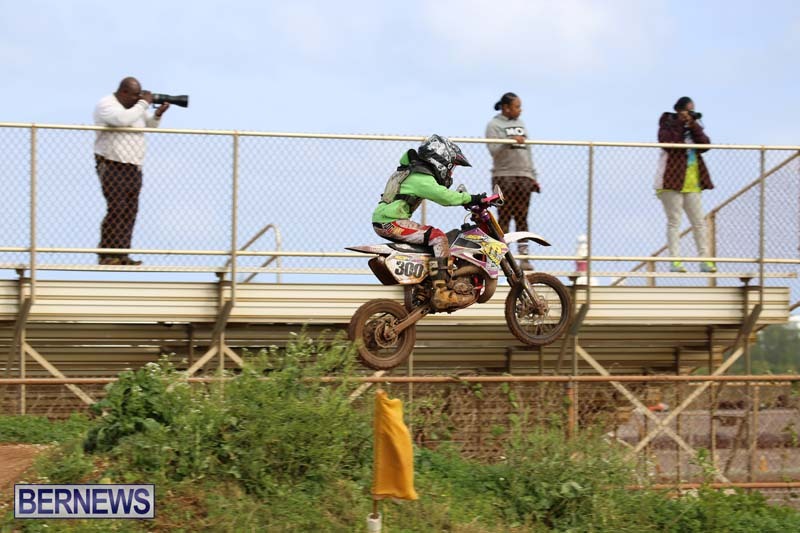 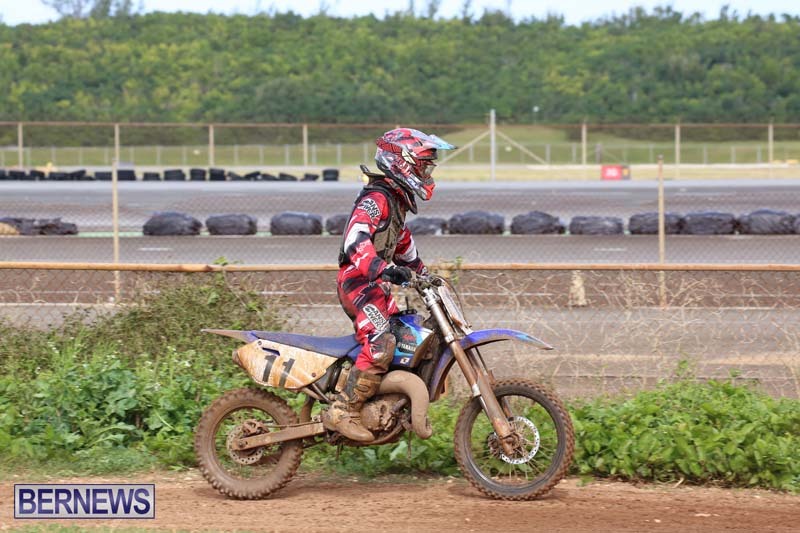 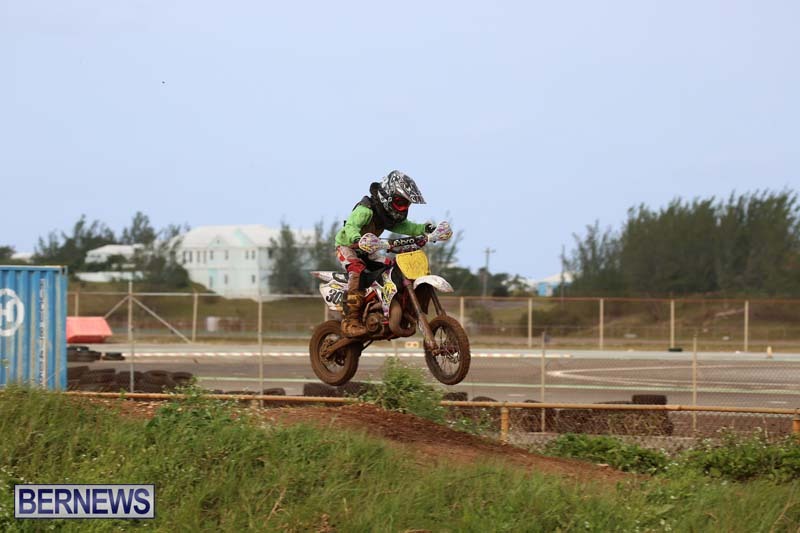 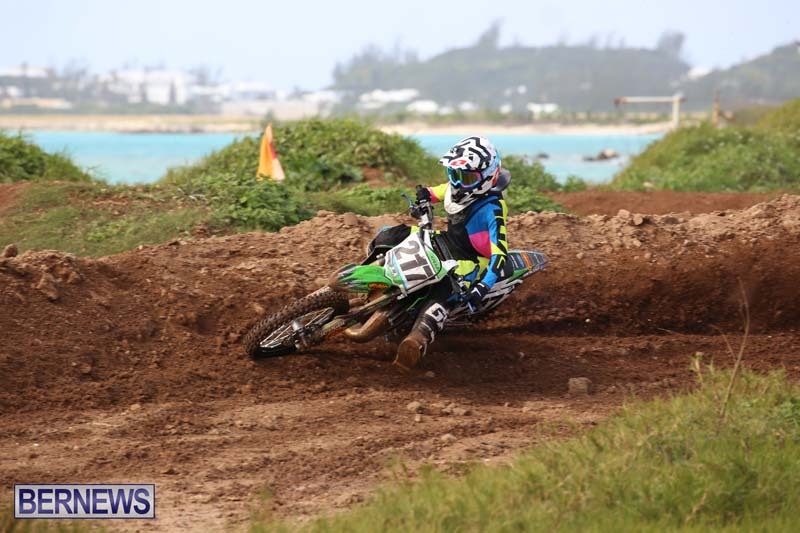 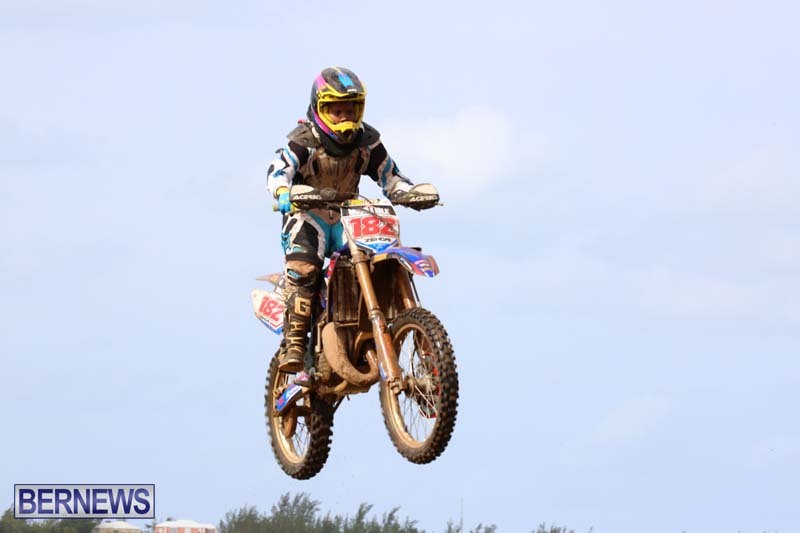 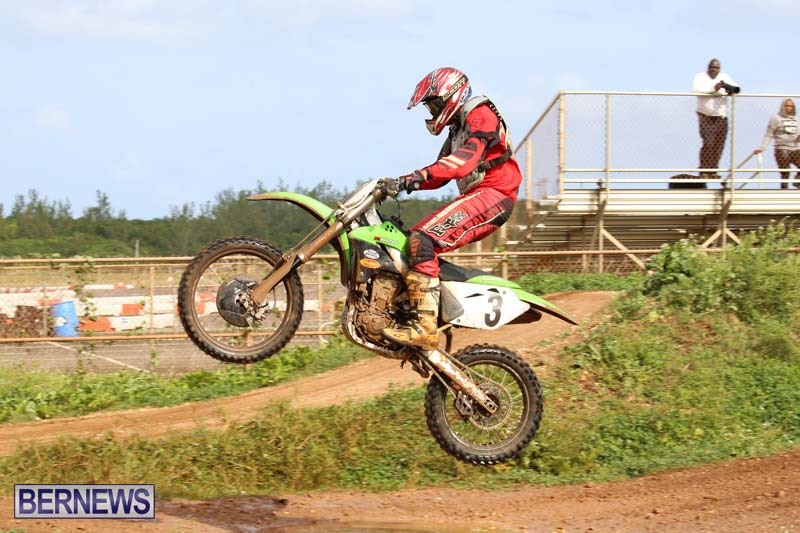 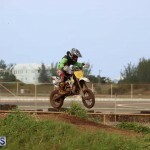 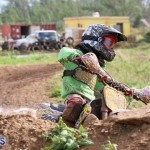 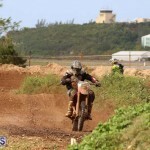 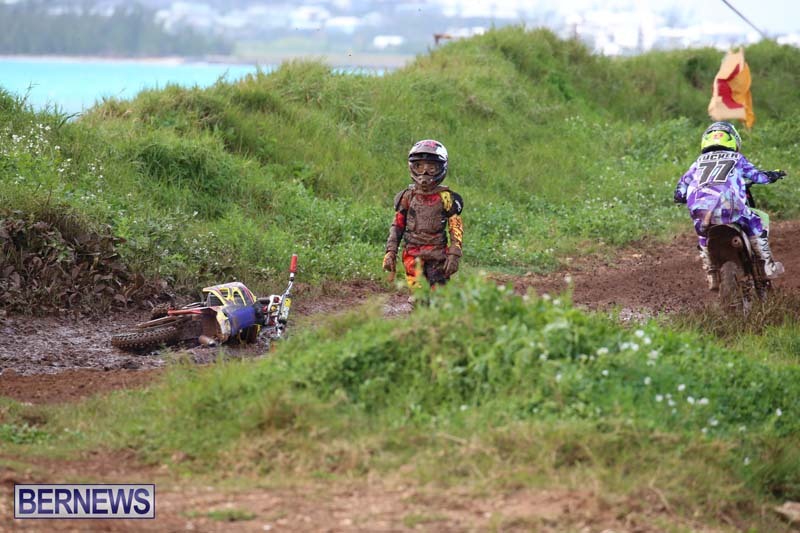 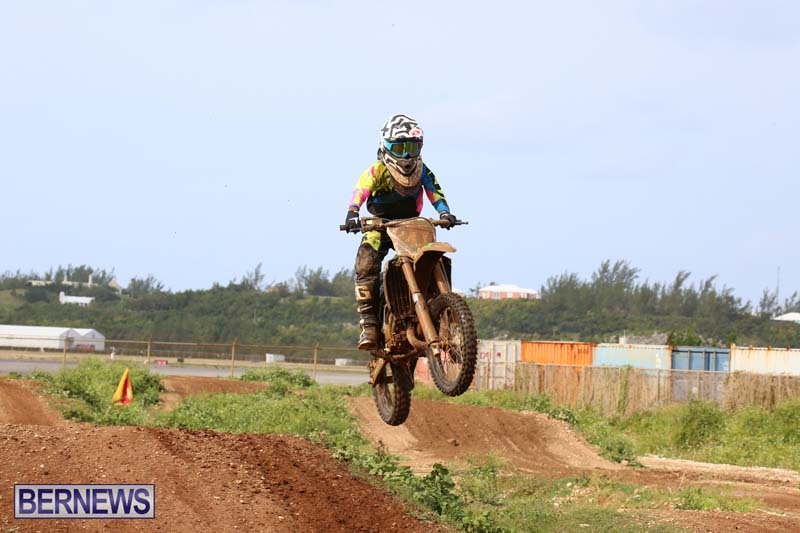 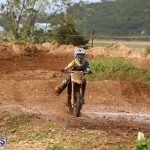 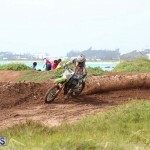 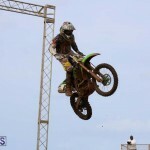 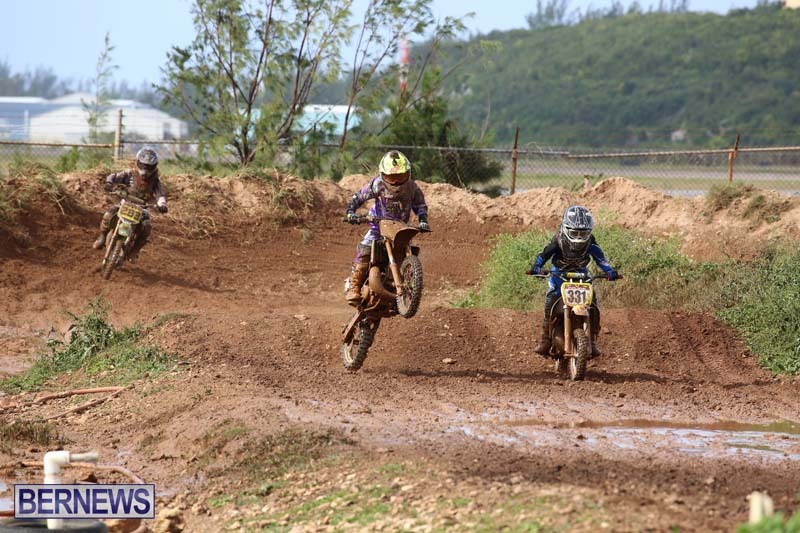 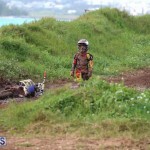 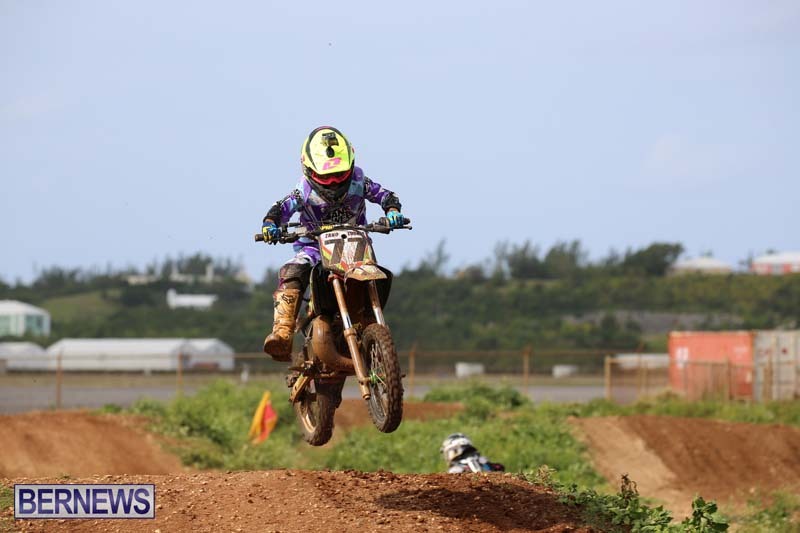 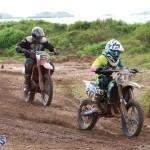 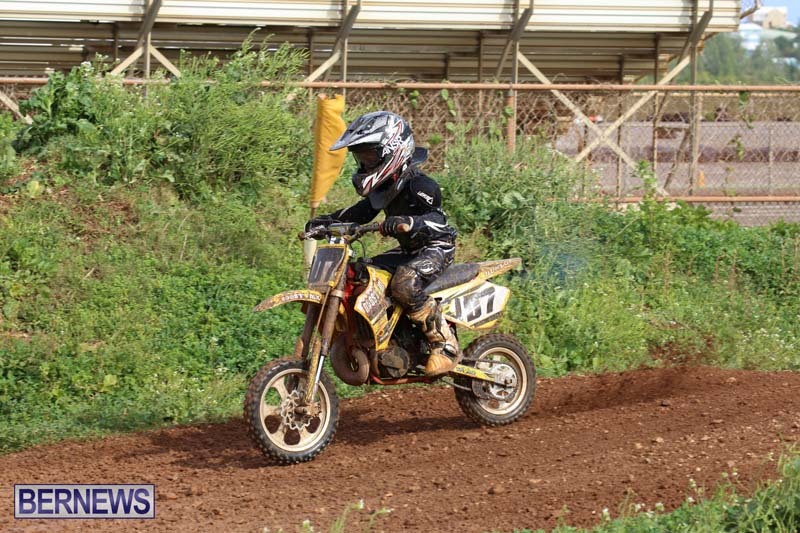 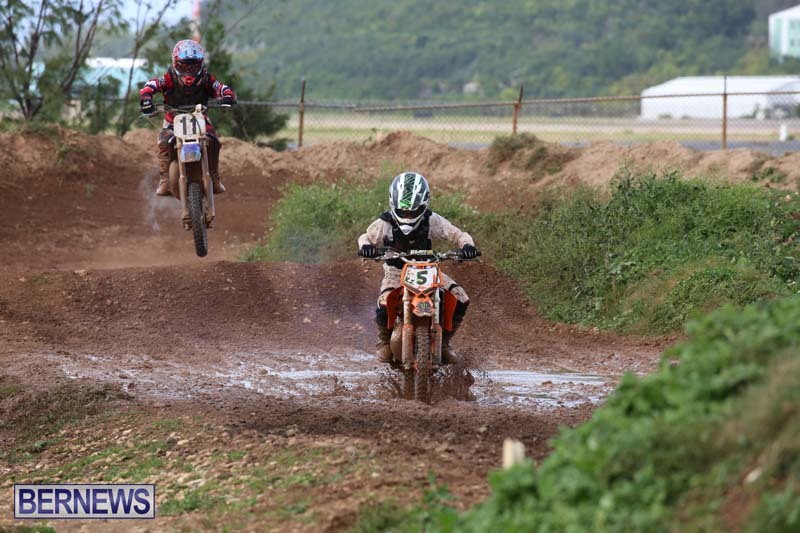 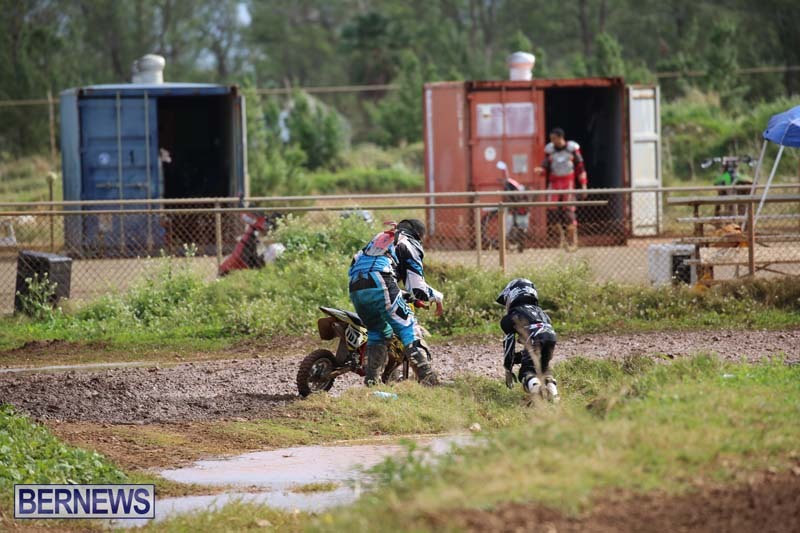 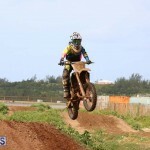 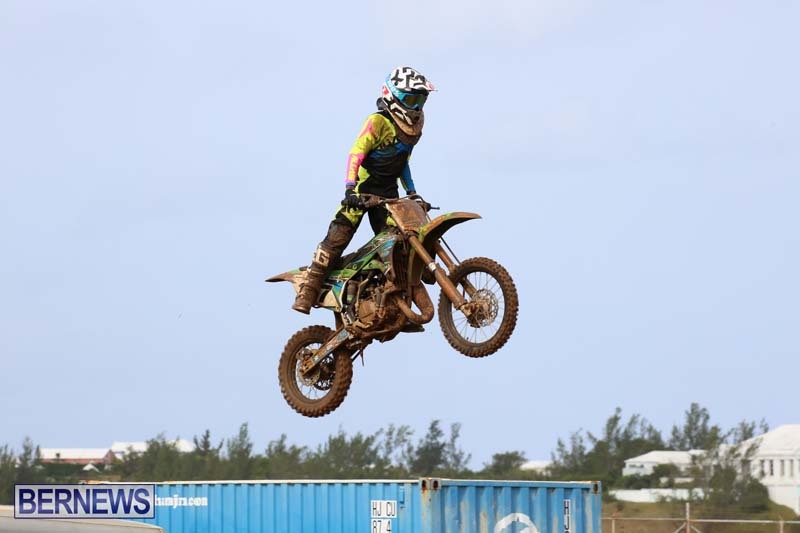 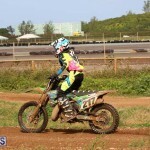 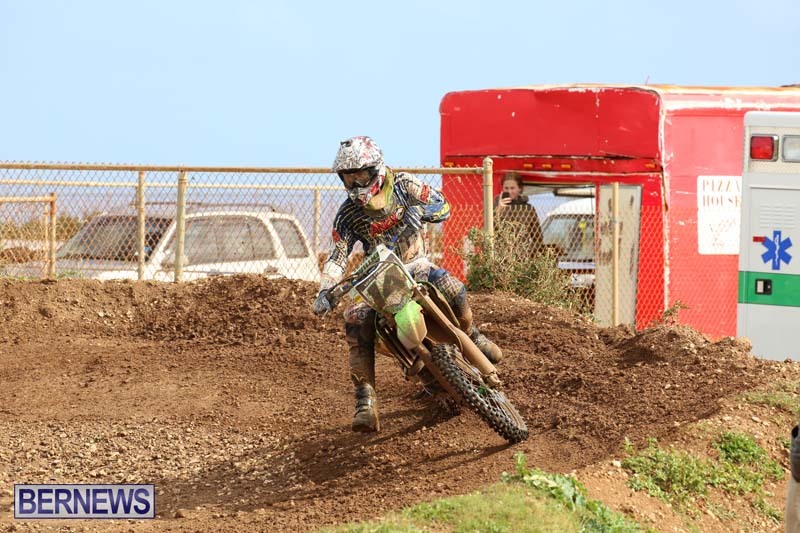 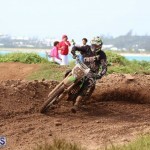 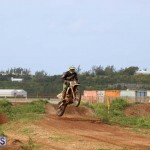 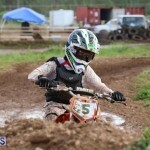 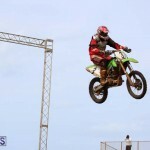 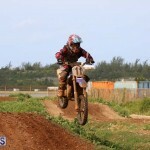 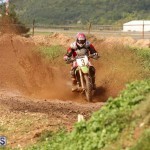 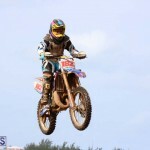 The Bermuda Motocross Club racing season continued with racing action last Sunday afternoon [Jan 25] at the Bermuda Motorsports Park at Southside in St. David’s. 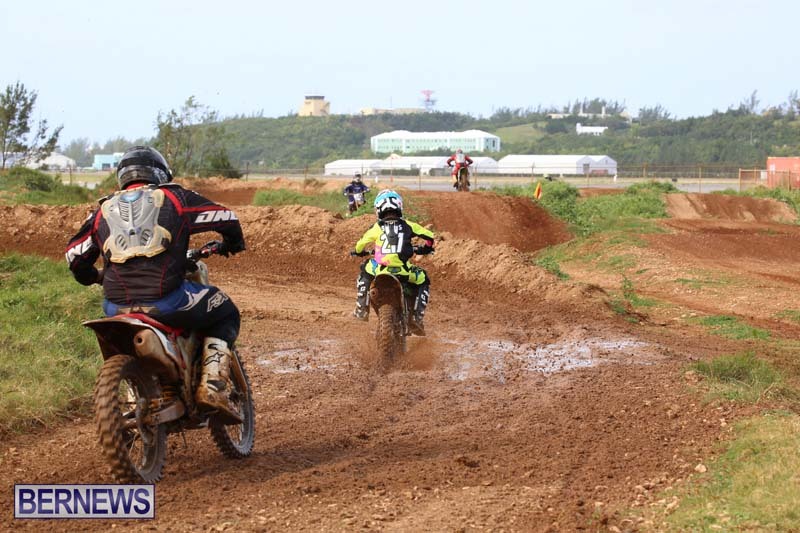 The riders had a wet track to race on following earlier rainfall earlier in the day, leaving many of the riders covered in mud as they rode through puddles. 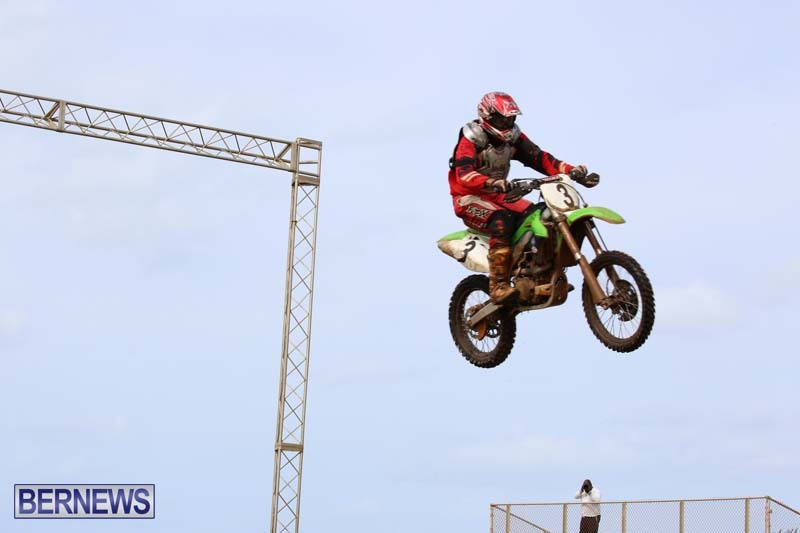 Spectators were treated to music played over the announcement PA system, while the club had a refreshment stand open with a variety of drinks, food and snacks available.